The Necklace is a time-travel/fantasy romance spanning many years. What if you could travel back into the past to meet the man of your dreams at a time when it would be possible for him to fall in love with you? Susan does just that when she meets two ladies from Haiti while on a cruise with her childhood friend, Lynn. Mika, the elderly of the two ladies claims she can see into Susan’s soul, and that if she sends her back in time to meet James, the man who Susan has dreamed of for fifty years, Susan will learn something important about him and about herself. 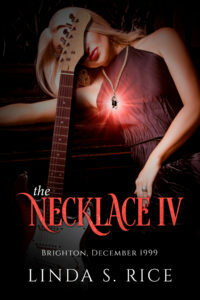 Susan travels back to the year 1962 in her 17-year-old body where she meets James, age 20, who is part of a band who will one day become the most famous band of all time. Susan is stunned and delighted when James is instantly drawn to her, inviting her out for coffee and offering to walk her back to her hotel after the band quits playing for the night. But much to her consternation, Susan’s 17-year-old hormones begin to play havoc with her 62-year-old brain, tempting her towards a relationship with James that she’s not really certain she wants. Will James end up to be the paragon Susan’s always thought him to be? Or, will she learn that sometimes when a dream comes true, that it’s not quite what you expected? It’s been five months since Susan and her best friend, Lynn, returned from their short journey to the past. While on a girl’s cruise, they’d met two ladies from Haiti, one who had “the sight.” She had instantly read into Susan’s soul, discovering an obsession Susan held within herself for a certain person for almost fifty years. To cure her of this obsession and make Susan realize that what she had in the present was far better than anything she would ever have had with James, she sent Susan back to the year 1962 to meet the real flesh and blood James. The love affair that ensued between James and Susan was tempestuous and stormy. It wasn’t long before Susan realized that James wasn’t the perfection she’d made him out to be. As the seven-day journey came to an end, she felt almost relieved to return to the present. One impetuous action, however, was to throw a complication into what Susan was intended to learn from the trip. Although she came back fully understanding that her present life was near perfection compared to anything she could have had with James, something keeps tugging at her heart, something that won’t allow her to fully let go of her feelings for him. 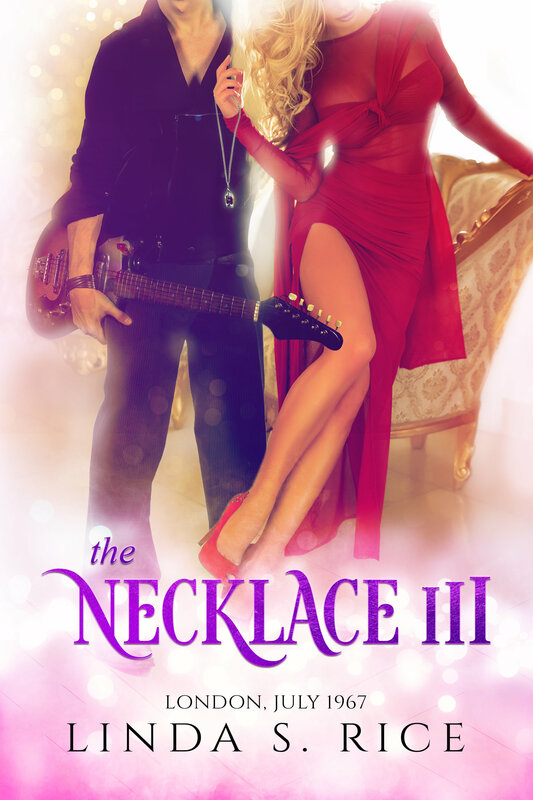 In desperation, she contacts the ladies from Haiti, only to find out that the ballerina necklace she left in the past with James is serving as a link between them and that the only way to break it, will be to go back into the past again to retrieve it. 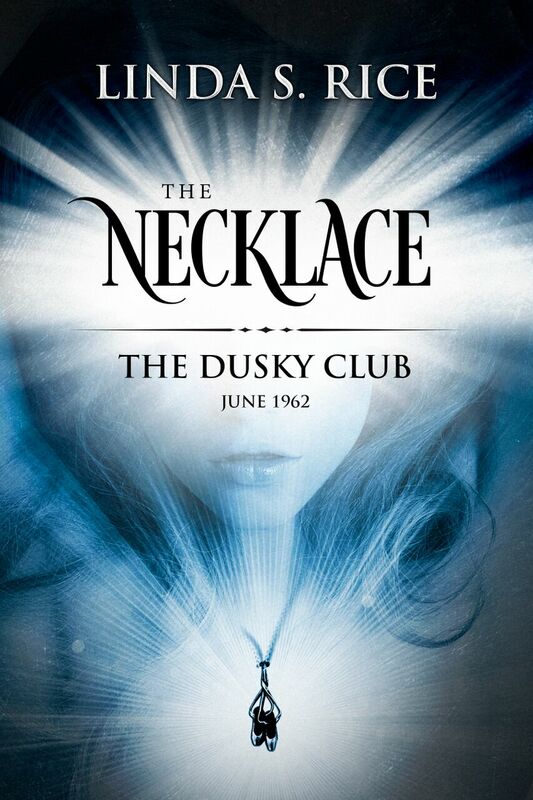 At midnight on a cold November evening, Susan is again transported back in time to November 1962, back to the Dusky Club, where James and the boys, who will one day become the most famous band of all time, are still engaged to play. 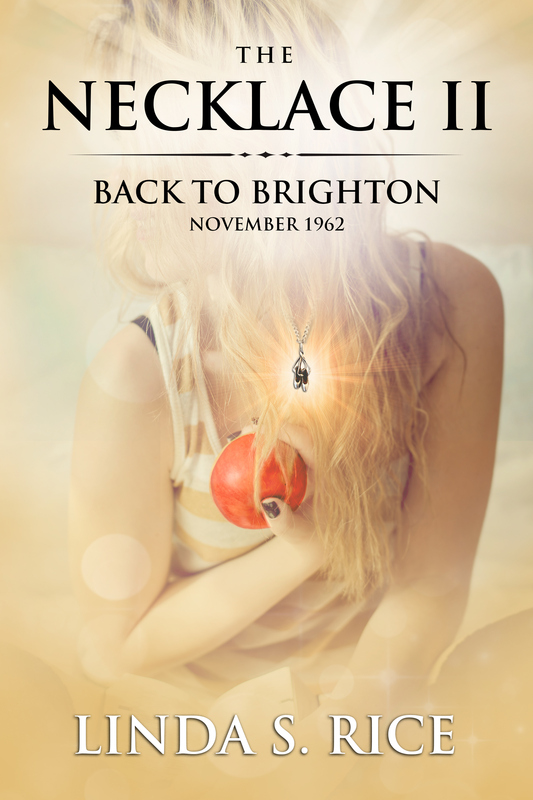 Will Susan be able to retrieve her necklace from the past and bring it back into the present? Will the link between her and James finally be broken? Susan’s second time-travel adventure into the past to retrieve her silver ballerina necklace from James, a member of the most famous band of all time, ended in disaster. 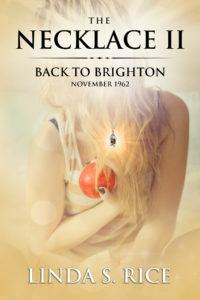 (The Necklace II – Back to Brighton, November 1962) Instead of trying to get the necklace back, which would have broken the link between them, she was once again swept into another affair, this one more stormy and full of passion than the first. When James falls even more deeply in love with her and proposes marriage, Susan is so stunned and taken aback, that James realizes her duplicity and his heart is crushed to pieces. Susan does manage to finally retrieve her necklace, believing the tie between them has been severed for good…that is until she discovers her attorney husband, Donald is having an affair with his new paralegal. 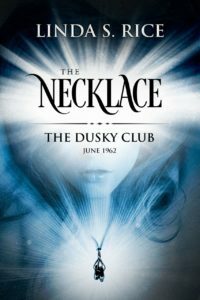 Devastated by the thought of an affair, after having been married to Donald for almost 45 years, Susan begins toying with her necklace once again, and as she does so, memories and unbidden thoughts of James begin to invade both her heart and mind. Dare she return to the past to be with James once more? Will he hate her for what she did to him when he proposed marriage to her? Or, will they be able to start fresh and renew their love once more? After Susan’s friends betray her on her last trip into the past, forcing her to return on her wedding day, the day she would have married James, a member of the most famous band of all time, she falls into a deep depression and can’t seem to shake herself out of it. Having James’s engagement ring on her necklace along with the silver ballerina slippers makes it even worse. Michelle, her level-headed and successful attorney daughter, decides to get to the bottom of Susan’s melancholy, and when she finds out the truth about her mother’s trips into the past, she determines to go with her on one more time-travel journey to end the link between James and Susan once and for all. She contacts Marta, the remaining Haiti lady, who sent Susan on her previous time travel adventures, and both mother and daughter are transported back to December 1999, where James is scheduled to make his first public appearance since his wife passed two years previously. Michelle’s well-intentioned plans go awry, however, when she encounters James’s son, an up and coming concert pianist as well as a spitting image of his father, and gazes into his captivating eyes. Susan, wondering if she will be able to reunite with James once again, realizes he’s likely to have some serious trust issues concerning her. With her marriage falling apart back in the future, her heart’s desire is to somehow make him love her again and this time stay in the past and change history. Will she be able to, however, especially when Hilary, a gold-digging ex-courtesan enters the scene just as determined to make James her own? Is the love between James and Susan strong enough to thwart Hilary’s plans or will Susan be forced back to the future to live out the rest of her life in despair? After Susan and Michelle return in despair from their time-travel journey back to 1999, Michelle resigns herself to a life of loneliness and Susan accepts the fact that she’s lost James forever. James, a former member of the most famous band of all time, and Susan, the woman who’s loved him for over fifty years, were to be married in a double ceremony on Christmas Day, 1999 with Thomas, James’s son, and Michelle, Susan’s daughter. It was not meant to be, however, when a gold-digging ex-courtesan, determined to have James for her own, exposes Susan as already being married. It’s now August 2016 when Thomas is preparing for a move from London to Los Angeles and discovers the mobile phone Susan left behind. The “mysterious object,” as he thought of it seventeen years earlier, is at the bottom of a box in his closet that he’d packed up with Michelle’s things shortly after she and her mother vanished. When Brett, Thomas’s friend who works for Apple, examines the phone, telling him it’s an iPhone6 and there’s no way he could have had it for seventeen years, both men are puzzled. Will the mystery of the phone be solved and will it lead Thomas back to Michelle? And, if Michelle and Thomas are reunited, is it possible that Susan and James will once again find themselves in each other’s arms? After all, we know from Susan’s previous forays into the past that history could not be changed, but what about the future? Will there finally be a “Happily Ever After” for James and Susan? The year is 2017 and Susan’s lifelong dream to be with James has finally come true; they both see nothing but marital bliss in their future years together. That is…until Diego, Conte di La Spezia decides he wants Susan as his new Contessa and his evil brother, Vicente, identifies Susan’s ballerina necklace as the one stolen from the family 200 years in the past. While Diego plots to capture Susan, Vicente schemes to retrieve the necklace. Playing against Susan’s jealous tendency, a plan is enacted to capture both Susan and the coveted necklace and destroy James’s and Susan’s marriage. Will it succeed, however? Or, will Diego relent when he realizes Susan’s love for James is unshakable? As the future unfolds time moves into the 2020s, and Sherry, James’s young daughter from his second marriage, decides to pursue a career in dance. When Nygel, a principal dancer from a prestigious company in Holland comes to London to choose who will be selected for roles in a production of “Giselle,” Sherry finds herself the target of his sexual advances, while her roommate, Carmen, falls in love with the heartless womanizer. The years advance quickly on James and Susan as they find the need to cope with aging minds and bodies. As their love story comes to an end in the year 2037, they find peace and contentment in a relationship that has stood the test of time through time-travel and the obstacles that prevented the past from being changed. And, the necklace that bound them together from the beginning, keeps them bound together to the end. Young and naïve, Brianna Campbell, has dreams of becoming a professional harpist and when she’s accepted by a prestigious music academy in Edinburgh, Scotland after high school graduation, she leaves the family farm in Ohio with high hopes. Once there, however, she becomes the target of Malcolm McGarity, a famous rock musician who has returned to his hometown of Edinburgh, worn out and bored with his lifestyle, nights of partying and loose women. 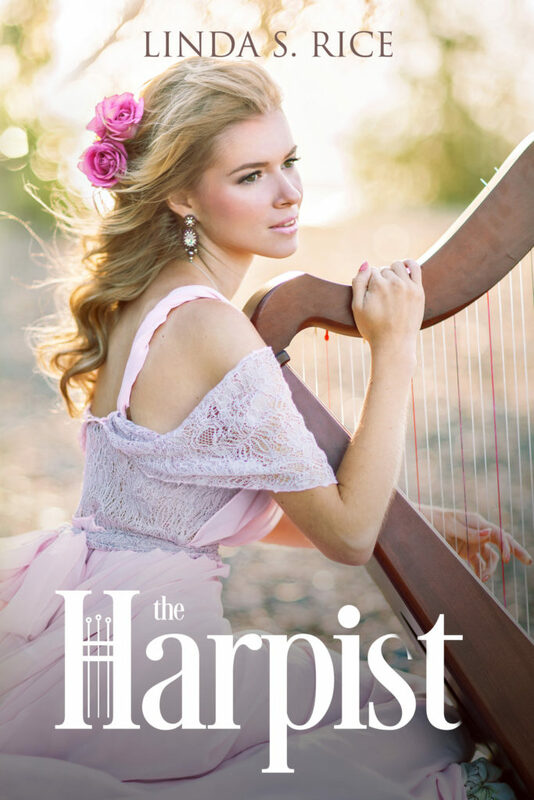 Once he sets his sights on the beautiful and innocent harp student, he determines to have her despite the warning of his longtime friend and fellow musician, Gerry Ferguson, to keep away. Gerry, who had lesser success as a musician and who has left the music scene, works at the Academy where his sister, Fiona, is a student. It doesn’t take long before Gerry falls in love with Brianna and warns her away from his narcissistic friend, believing he will only destroy her as he has so many others. The wealthy, charming, and devastatingly attractive Malcolm, who woos her with red roses and fairytale promises…or kind and caring Gerry who has nothing more to offer her than his heart? After crossing the rainbow bridge in December 2037, James and Susan encounter Mika, the Haitian woman who first sent Susan back into the past to meet James in 1962. 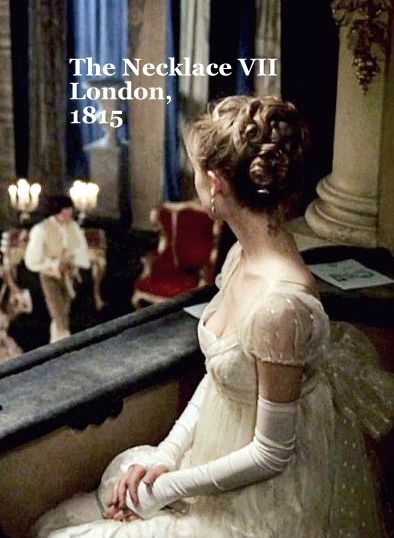 When she asks the couple if they would like to time-travel back to 1815 Regency England, where they originally met and where the magical necklace was first given to Susan, they agree. Traveling back over 200 years into the past, however, isn’t as easy as they thought it would be. The lack of modern conveniences is frustrating and the social mores to which they must abide as part of the nobility are irksome and annoying. Will the new Lady Susanna Sheffield and Lord James Lynton, Viscount Hollingsworth be able to overcome the obstacles cast in their way so they may be together again? Or will the strictures, contrary morals, and scheming parents and suitors of a society that controls their daily lives be too much to endure?